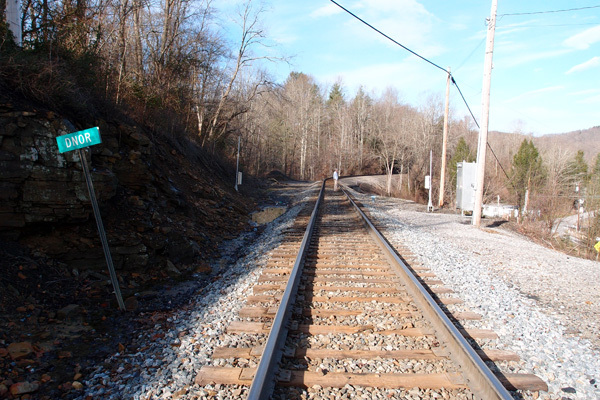 This is between Appalachia and Big Stone Gap, near a rock quarry, on a N&S line. It centers at 36.880941, -82.781235 and is about 95′ long. This is the quarry-side portal. Here we are at Marion tunnel, the northern portal (36.688458, -81.980895), a little over 219 miles from Elkhorn City KY on the CSX. This is the final tunnel on the line. It’s pretty much all flat land from here to Spartanburg SC. 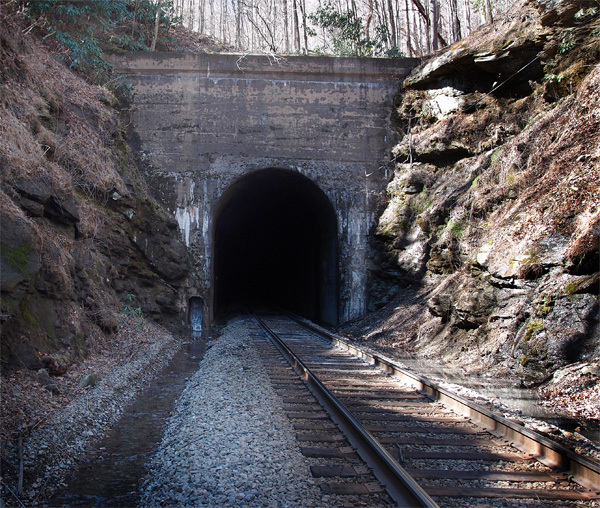 Marion tunnel is 1,073′ long and the lintel date is 1913, which means it’s probably original to the tunnel. 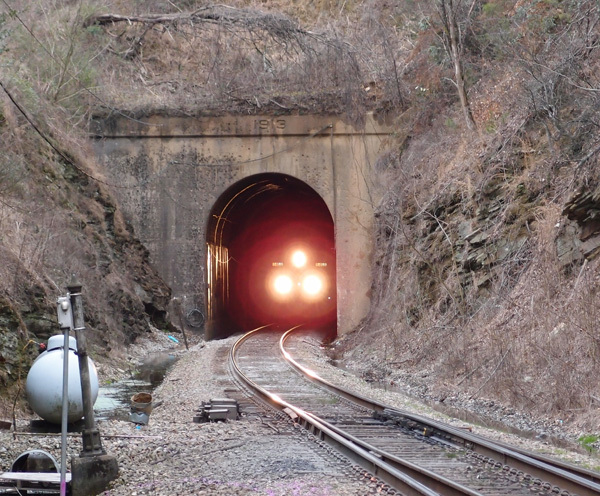 That’s a CSX locomotive coming out of the tunnel, heading up into The Loops. Although this ends my project to document all the tunnels on this CSX line, there’s more to come. 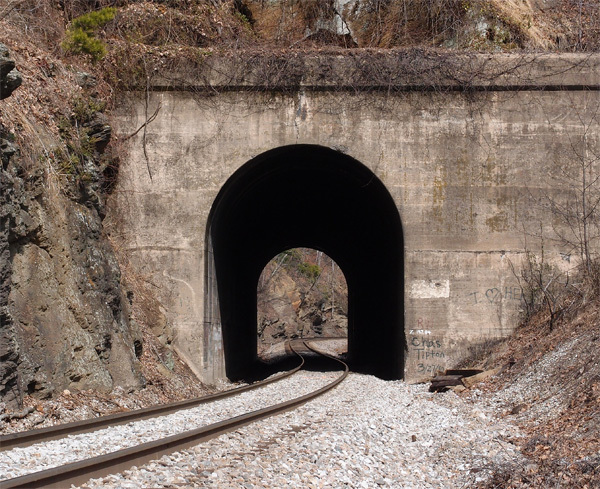 This eastern portal of Honeycutt tunnel is at 35.86638030, -81.969960. 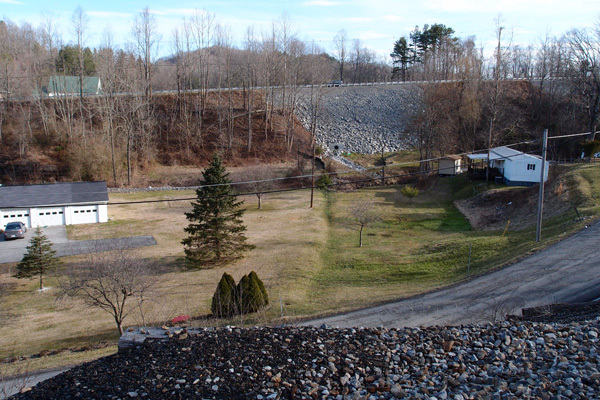 The tunnel is 1,688′ long and about a half mile or so west of the Ashford Cut. The reface date on the lintel is 1923. 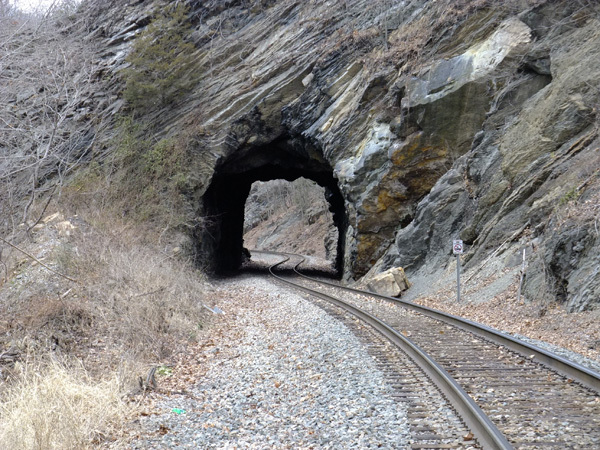 This, of course, is the penultimate tunnel on the line from Elkhorn City KY and Marion NC. I stood and looked at this tunnel for quite a few minutes, knowing this was the end of an over two-year project to document these tunnels. This was the last tunnel to be photographed, since we had gone into Marion two weeks earlier and had recorded the tunnel there. My buddy walked over to an outcropping over to the right of the line, back about 50′ or so, to investigate what appeared to be a cave. It wasn’t, but he found two stone cairns there. Since this tunnel is relatively isolated, I wonder if they were piled up by the workers here in 1907 – 1908. Could have been grave markers, too, since many men, often foreign labor, died blasting out these tunnels and doing the hard labor of laying a railroad. This area is named “Dnor” now. The abutment is right where my buddy is standing. 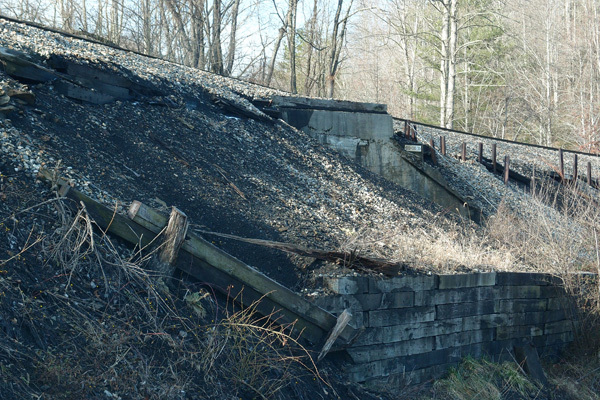 The trestle, made of timber, crossed the valley here over to where the new highway runs now. Imentioned in an earlier posting that 3rd Rocky tunnel (centered at 35.85881, -81.99896), was opened up, according to Goforth, in 1977. It was originally about 420′ long. As Butch Adkins commented, this was to widen the area to extend a siding track, not due to any instability of the ridge. 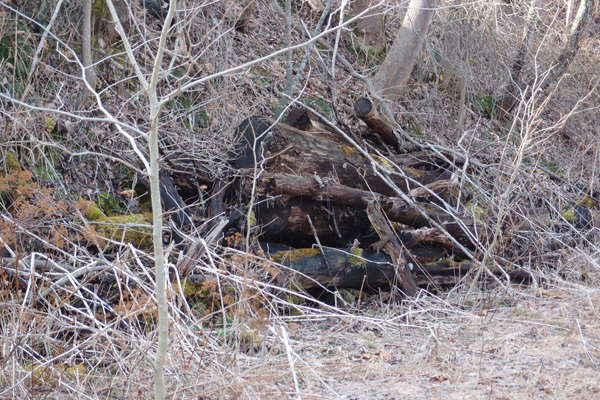 This, however, is the very sturdy 4th Rocky tunnel, just 179′ long. This southwest portal is at 35.863089, -81.990881. No visible date on the lintel. We were rather tired by the time we got to this tunnel, having walked from 2nd Rocky down past the remnants of 3rd Rocky. It was only about 2 miles, but, then it was 2 miles back.